Our planet is the only known source of life in the universe and for good reason. So unique is the balance and setup of our planet that it almost seems tailor made for life to exist. However the stability and sustainability may not be everlasting and there are several ways by which we can experience a sudden extinction. So in this article we will be discussing about some possible ways the world could end. These causes could result in extinction of life on earth and are real threats the earth’s existence is faced with. The core of the earth has an important role to play in its existence. The shielding layer of the earth which is the magnetosphere exists because of this protective shield. This helps to keep out the high energy particles that could potentially disturb the balance of the earth. With time the hot molten core is bound to cool down significantly which would result in this situation that our planet is destroyed. The Sun could start burning out and expanding: The burning gases are bound to extinguish at some point or the other. Considering the fact that the Sun is almost halfway into its life cycle there will be a situation when this star too dies. The death of a star is usually a high energy reaction which would force the layers of the Sun outwards. The earth would be pulled by the Sun and the fate of our planet would be extinction of life on earth by vaporization due to the heat. 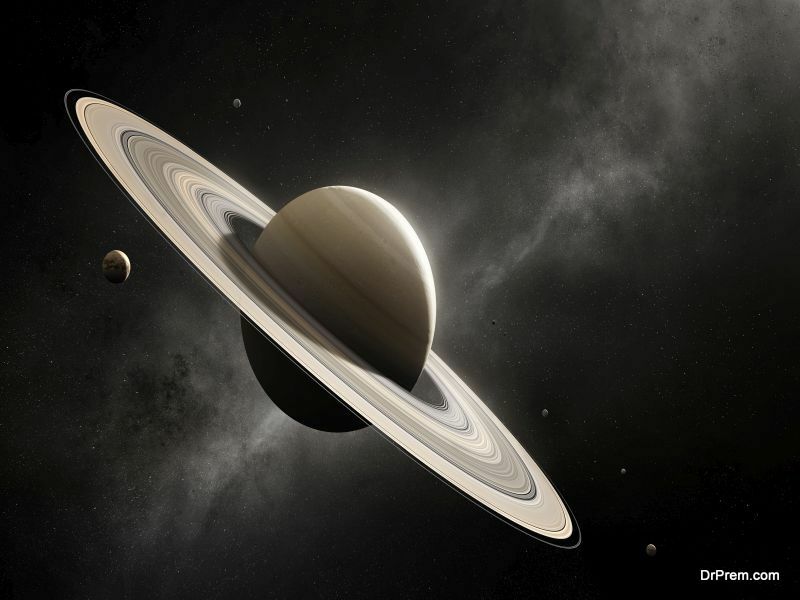 The earth can find itself in a perilous orbit: There are too many rogue planets in our galaxy. There always remains a chance that the earth will manage to somehow be in one of those orbits. A collision by these planets would mean sure destruction of our planet which is why it finds mention in the list of ways the world could end. Even if it is not a direct collision but a gravitational shove, that too can wreck havoc to the earth by changing the seasonal patterns drastically into extreme temperatures. We could be hit by a planet: the very existence of the earth is because of such a collision with a planet and one of the larger planets of the Solar system. There is no reason that this threat to humanity won’t repeat itself and destroy the earth as we know it. If such an incident were to happen today, the earth would completely melt and the debris will be scattered all over the solar system. 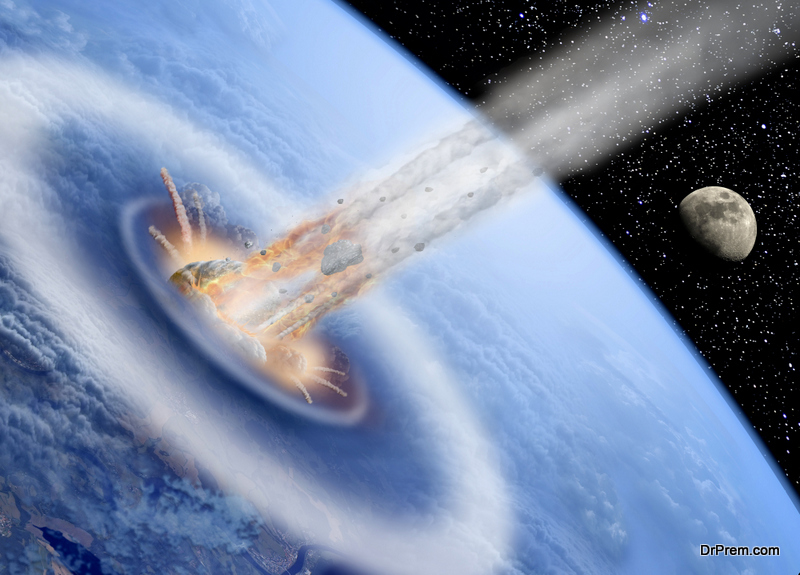 Asteroid hit: Among the several ways the world could end this is an extremely possible alternative. This also leads to the fact that the Hollywood industry is obsessed with the idea and has made multiple movies on this topic. 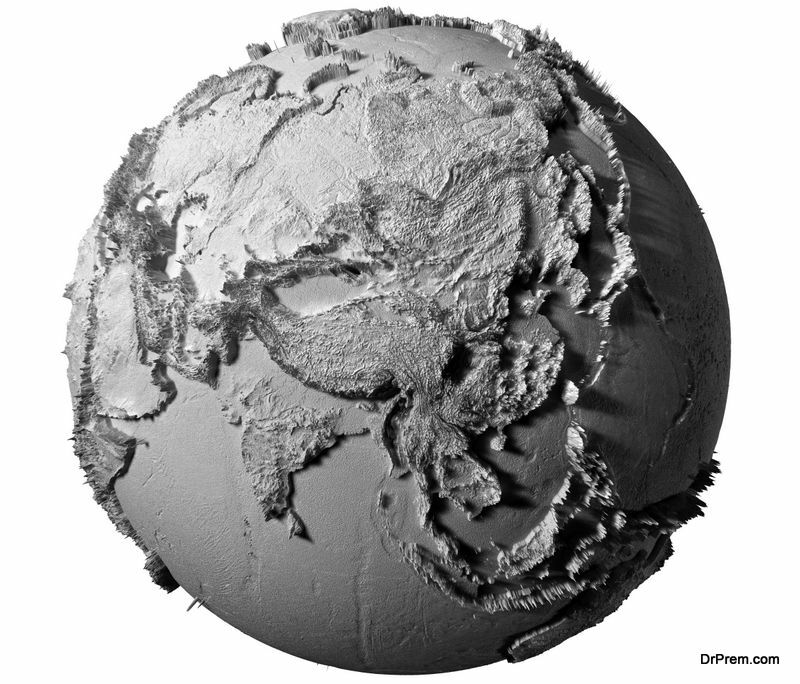 If the asteroid is too small then it would be a localized impact without affecting the world as a whole. But if the size of this asteroid is big enough it is clearly a threat to humanity because life on earth would be completely wiped out. There is already planning in NASA regarding how to develop a system to bombard such incoming asteroid with precision so that their impact can be avoided. The earth could move closer to a black hole: Among the ways the world could end this one is among the most tragic. The black holes have a tremendous pull and everything in their gravitational field is sucked in. There are new black holes forming each day in the universe. So it is a real possibility that the earth moves into the zones of one such black hole and disappears. It can so happen that planet is destroyed from a gamma ray burst taking place. This gamma ray burst is a phenomenon that will destroy the atmosphere of the earth. The usefulness of the atmosphere is supreme and there would be no life existing on earth if this becomes a reality. 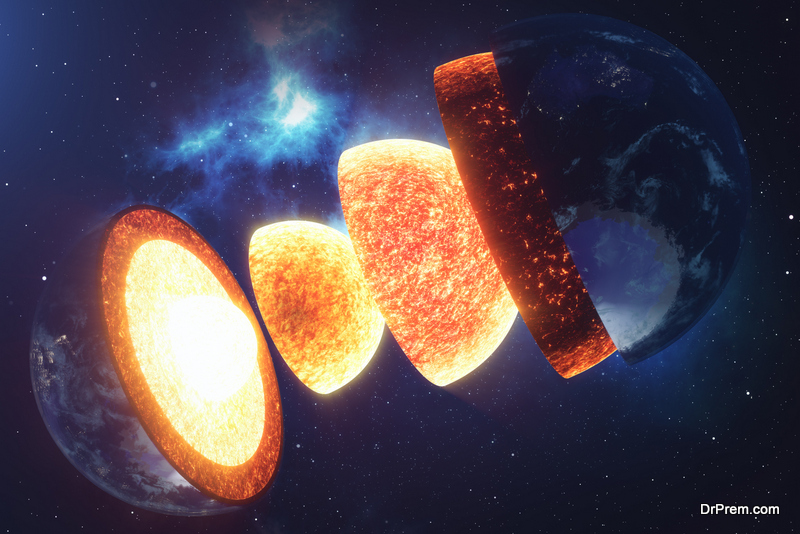 The final big rip: A theory suggests that the formation of the earth and the rest of the universe were from a massive explosion, the big bang. The universe is now ever expanding and there is a possibility that after millions of years another massive explosion will eliminate the universe as we know it. There can be several ways by which the extinction of life on earth is possible and we have only discussed a few. This is not intended to alarm you as there is no such cause to panic. Even if it does happen there is little we can do to stop it. This is just to boost your knowledge and to give you a make believe situation where our planet is destroyed. Tongue twister for fools’ day!